Iowa became the 29th state to join the Union on December 28, 1846. Iowa’s first two senators, Augustus Dodge and George Jones, took office on December 7, 1848. When Dodge took office, he joined his father, Henry Dodge, who represented Wisconsin in the Senate. They are the only father and son to serve simultaneously in the Senate. Iowa’s longest-serving senators include William Boyd Allison (1873-1908) and Charles Grassley (1981-present). 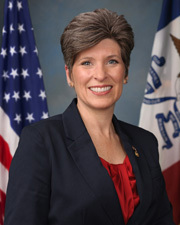 Allison holds the record for longest-serving chairman of a standing committee, having chaired the Senate Appropriations Committee for nearly 25 years. 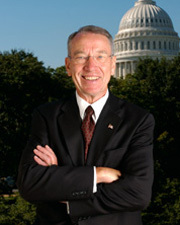 Among those who rose to leadership positions is Albert B. Cummins, who served as the Senate’s president pro tempore.